I'll chronicle my thoughts like last time, i.e. In bullet-point-form. For your convenience. Lara's breasts feature prominently. 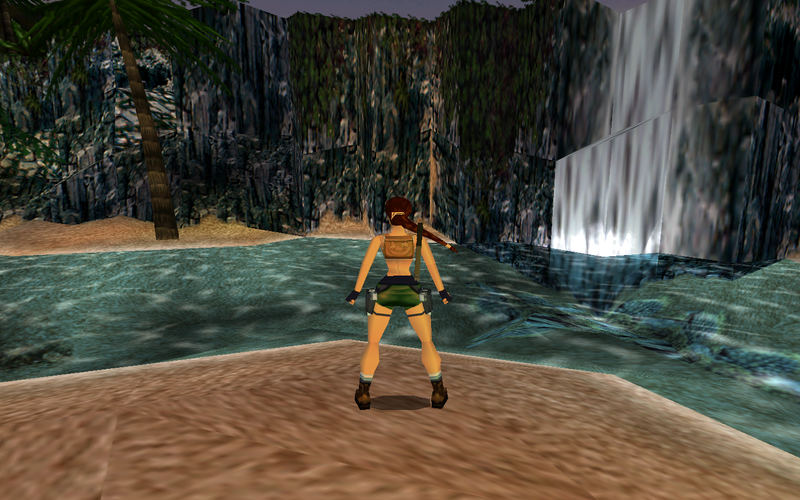 Almost every render-picture has them, and they seem to have grown since TR2. There are loading-screens in the PC-version now, but they are some of the most hideous ones I've ever seen. Basically they are collages of drawn pictures and render-scenes, while a small map in the corner shows the location where Lara is supposed to be. The loading-screen for London shows Lara's location to be the middle of the North Sea. The mansion/training-level is still fun. There's loads of stuff to do and to explore, even more than in Tomb Raider 2. There's the attic, the shooting-range, the hidden trophy-room, the jumping-course, the obstacle-course, the RACETRACK, the hidden keys, the bug that lets you walk on the roof, the maze, the walk-in-fridge, etc. The hidden trophy-room with stuff from previous games. The dagger! The sphere-thing from TR1! 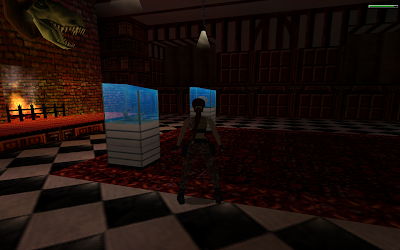 You can exit the premises of the mansion this time, which you couldn't in Tomb Raider 2 (well, you could, by exploiting a bug). When you leave you, end up back in the main menu, which is a nice gag. The best thing about flares: The T-Rexes you encounter will run towards them. It's lovely. I've wanted to buy some real flares to play with them for a long time. Turns out a single magnesium-flare costs about 10€, and lasts for ~2 minutes. But they can light a stadium, and they burn underwater. The game drops you off in India, with no explanation whatsoever. Actually it drops you off "in the jungle". I'm not even sure "India" is mentioned at all. Tomb Raider 1 & 2 had much better introductions. You can reach it by jumping precisely (and I mean precisely) on the small spot where you won't slide down. This spot is hidden under leaves, and will require multiple attempts. You'll never be able to figure out there's a hidden weapon under there unless you already know about it. This game is brutal, it insta-kills you often. It took me 12 tries to reach the bottom of this slide. A monkey! Well, an evil monkey. It'll try to kill you. The monkey has purple blood, a weird symptom the German release and concern about "violence". Surely the discolored blood will put parents at ease. Humans have purple blood too. The crystals are "save-tokens" in the Playstation-version. Collecting one gives the player the option to save once. In the PC you can save without restrictions. The crystals remain, but are now "insta-medpacks". They still feel weirdly out of place. Every level in Tomb Raider 2 has 3 hidden dragon-statues, which are the "secrets". If you find all 3, you get a special item (like the grenade-launcher in level 1, which otherwise is only accesible after level ~12). In Tomb Raider 3 a level can have a variable number of secrets, which are just stuff. The aforementioned shotgun was a "secret", and things as mundane as medkits can be too. Funnily enough, the next game to use this color-scheme was Far Cry 6 years later. The game tells you in the statistics "found 3 of 5 secrets", but this is a lie. There often are more secrets than shown, which is partly due to the large levels and multiple pathways through them. A level with 5 secrets might have actually 9, but it isn't possible to get all of them in one attempt. To advance from the bottom of the slide you have to press a button that's almost invisible against the wall behind it. I stuck around for an hour before consulting a guide during my first run back in the day. You meet a mad explorer/mercenary in a cutscene at the end of the level. He closes a briefcase, then holds it by the wrong side, where there shouldn't be a handle. This always bugged me. 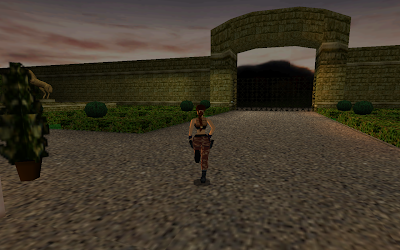 Tomb Raider 2 feels like the better game overall. The narrative is more gripping, the locales are fun and varied, and there are some good pay-offs. TR3 isn't as good, but still competent and fun. It continues in Part 2 and Part 3.